Target's new denim line is about to change the way you shop for jeans. 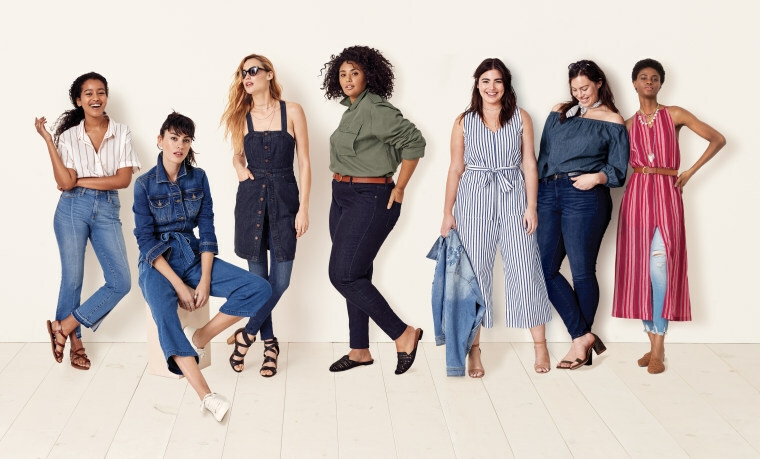 Here's some news that will make shopping for jeans a bit less painful: Target just announced their new denim brand, Universal Thread, and it’s made to fit women of all shapes, sizes and budgets. Officially launching Feb. 4 online and in all Target stores, the brand features sizes from 00-26W and an impressive array of fits, rises, lengths and silhouettes. Did we mention prices range from $5-$40? Yep, it's basically a dream come true for those of us who hate shopping for jeans! After all, finding the perfect fit can sometimes be a Goldilocks-like experience (too small, too big or just plain wrong), but Target hopes to change the dreaded dressing room experience with the size-inclusive brand. “We’re so proud to bring guests Universal Thread — our newest women’s lifestyle brand that includes denim and apparel for all women. Whether guests are looking for extended inseams, curvy silhouettes, Plus sizes or different rises — we created this brand with our guests for our guests, all at an incredible value,” Target spokesperson Jessica Carlson told TODAY Style. Target designers consulted nearly 1,000 women from across the country to learn more about their denim shopping habits, and they discovered that most women really hate shopping for jeans. “Whether the rise was too long or the inseam was too short or the pair of jeans they wanted didn’t come in their size — finding the perfect fit for their body type was just too challenging,” said Mark Tritton, Target's executive vice president and chief merchants officer, in a press release. The line, which is priced 10 percent lower than Target's current offerings (score! ), also has a few other tricks up its sleeve. Tops, dresses, accessories and shoes round out the rest of the collection, and styles feature the latest in denim technology — think no-fade black jeans, anti-bagging technology and stain-repellent white jeans. You'll also find a few sensory-friendly and adaptive items — denim designed with flattened seams and wider legs, and T-shirts and tanks with no tags, for instance — in the line for those living with disabilities. Need to find your denim size quickly? Wrap the jeans around your neck! Set your calendars for Feb. 4 when Universal Thread hits stores and in the meantime, here are a few of our favorite pieces from the collection. Pretty in pink, indeed! This pastel pair is perfect for dreaming of warmer days. We're already thinking of spring flowers with this cheery pair of light-wash jeans. These sleek jeans will hug your curves in all the right places for a night out or a lazy day in.